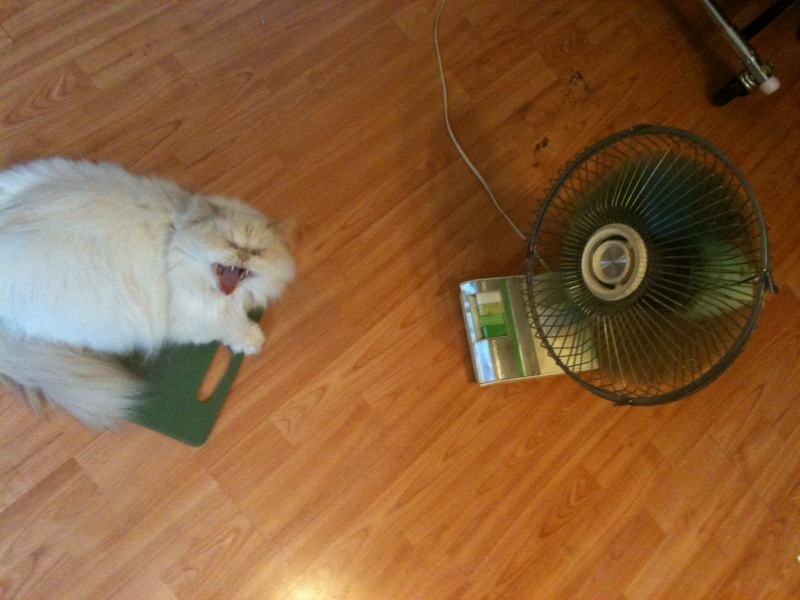 so we're having a bit of a heat wave. 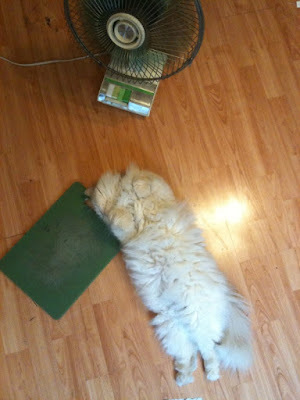 here's poofy is hanging out directly in front of the fan in my studio. being super dramatic by playing dead. btw this isn't a cutting board i use for food.